All Jazz, Tap, Hip Hop, and Acrobatics – Leotards, tights, tight-fitting jazz pants, trunks/tight fitting shorts. Hair up and neatly off of the face. No jewelry. 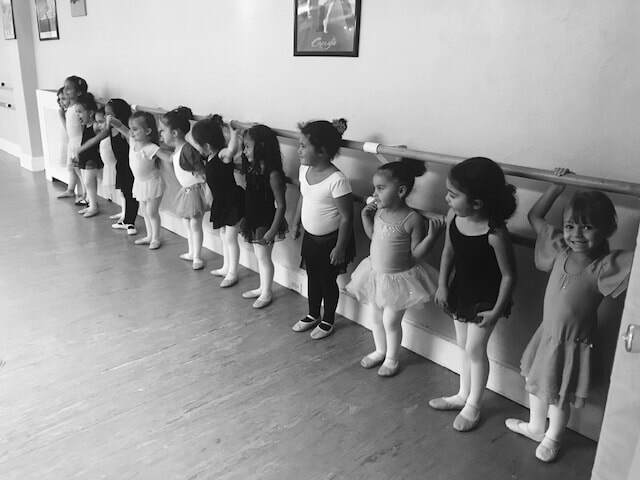 Saturday Tot Classes – Dancers may wear any colored leotard, tights, and skirts are optional in any color. Hair should be worn neatly off of the neck and away from the face. Both pink ballet shoes and tan tap shoes are required. No jewelry.